For a limited time, start gearing up for a bright summer with 30% off of our in store selection of in stock sunglasses and goggles by VonZipper! 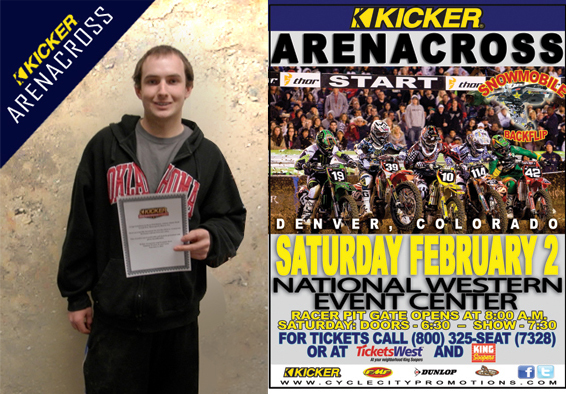 He was one of 205 people to share our Facebook post about this event – and was randomly chosen from the bunch to win 2 Free Pit Passes and a Free Racer Entry to Kicker Arenacross next weekend! Thank you all who shared this for us, and still plan on attending this awesome event! $1,000 Gift Card Winner Announced! A HUGE Congratulations to Alexa Fetch! 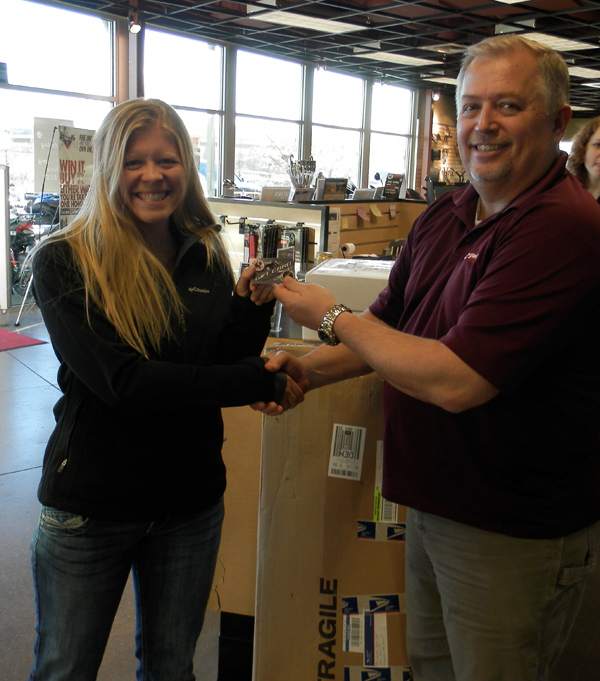 ONE LUCKY GRAND PRIZE WINNER WILL WIN A KX™ BIKE OF THEIR CHOICE, BASED ON A RANDOM DRAWING AT THE END OF THE SEASON. YOU’LL BE ENTERED INTO THE GRAND PRIZE DRAWING JUST FOR PLAYING. ANSWER ANY QUESTION CORRECTLY, AND RECEIVE A SECOND ENTRY FOR A BETTER CHANCE TO WIN. SEE OFFICIAL RULES FOR MORE INFO. Make the transition from gas to electric! Get $2,500 additional trade-in allowance on the exchange of any gas motorcycle for any new 2012 ZERO motorcycle! 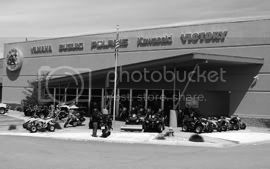 Ends March, 31, 2013. Click the banner above for more information on Suzuki’s Team Yoshimura Power Packages – and to print out the flyer in order to redeem this offer! Print the flyer and bring it in to us before February 28, to receive 2 Power Packages, or customer cash towards a new RM-Z motorcycle! Do you love arenacross? 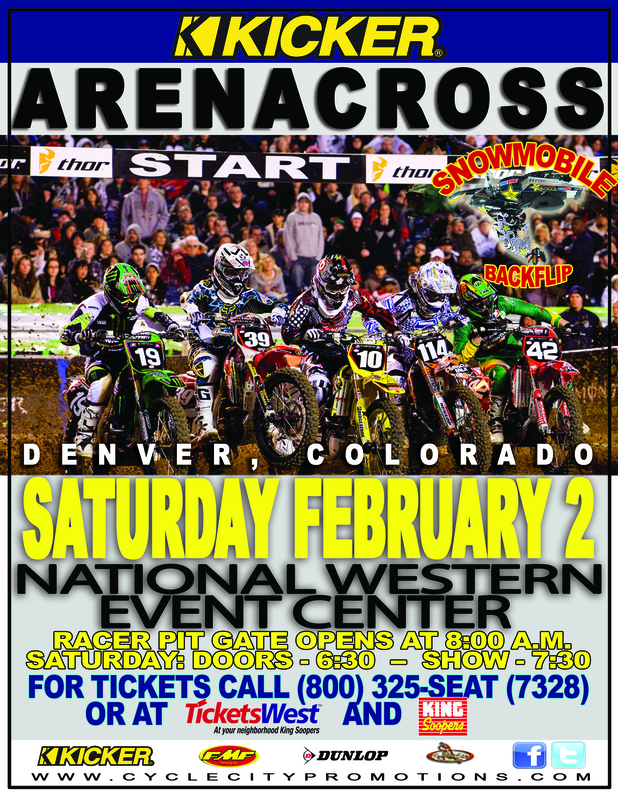 If you would like to win 2 Pit passes and a free racer entry to the Kicker Arenacross competition on February 2nd, just follow the instructions below the flyer! Courtesy of Kicker, and Grand Prix Motorsports.